This is for all the pregnant mamas, or should I say Mamis, out there. This fashionable boutique has just opened in Al Seef Mall especially for those ladies trying to find stylish and comfortable maternity clothes in Abu Dhabi. No more long trips to Dubai, ordering clothes online or buying cookie cutter items from the large chain stores (with little maternity selection). I recently stopped in to check it out and only wish this shop had been around when I was pregnant. There you’ll find a range of modern maternity clothes, woven slings, breast feeding clothes and baby carriers. This boutique carries name brands such as Torelle, RipeMaternity, Mama i Ja and Manduca. Having a browse through the dress rack, each dress was different. I ask the sales attendant about different sizes. Some dresses have different sizes, some dresses do not. That is how exclusive the dresses are! There is only one piece in UAE. You won’t have to worry about running into someone wearing the same dress as you. The price range for a dress is between 200-350 AED which is a good investment – especially if it is your first pregnacy. You will be hard pressed to leave without finding something that suits for that special occasion whether it is brunch, birthday…baby shower. Perhaps you need work clothes. 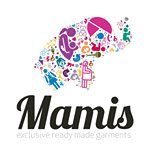 Mamis has large selection of trendy tops and trousers to keep you looking fab in the office. If comfortable, casual clothes is what you are after – skirts, shorts and tops are all available. The staff on hand are able to answer any questions regarding any of the items in the shop. The ladies were super helpful and friendly. They can help you choose clothing or any baby carrier. Baby Carriers – the colorful choices which will leave you staring and gazing at which one would be best. They even have heavy duty ones – you know the ones that can carry a small child (these have been hard to find in Abu Dhabi). Have I mentioned there is cute, baby friendly, organic jewellery and Baby toys? So even if you’re not expecting but know someone who is, this would be a great place to stop and find a gift. 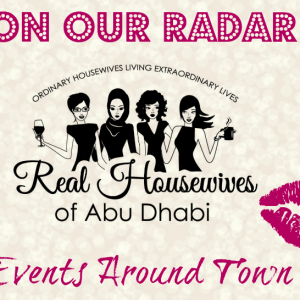 Mamis is located in Al Seef Mall (for map click here). It is open daily from 10:00 am to 10:00pm. Head on down to check it out. 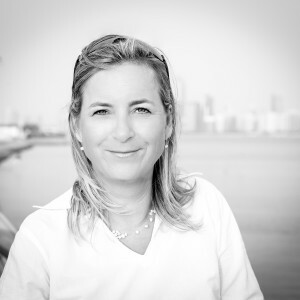 This is a woman owned business – just saying…. Amazing selection to choose from! I’m so looking forward to visit your new boutique! Lucita – You won’t be disappointed, I am sure. The dresses there are so gorgeous.